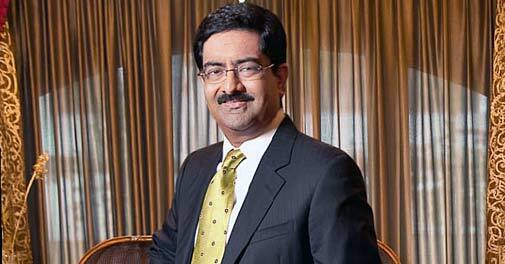 Over the years Kumar Mangalam Birla has tinkered with the business model, while growing the Aditya Birla group about 20 times. He keeps restructuring and fine tuning, all the while monitoring the strategy closely. Will his constellation be in alignment with his goal? Fixed deposits or debt funds? With interest rates rising, should you invest in fixed deposits or debt funds? Both were born with silver spoons in their mouths. Both had greatness thrust upon them by unexpected events - Mansur Ali Khan Pataudi by Nari Contractor's incapacitation, Kumar Mangalam Birla by the sudden death of his father. The exclusive club is so yesterday. The ambitious young professional has found a new hangout to make friends and influence people, share corporate gossip, and learn about new job openings or upcoming contracts: the upmarket gym. Religare Enterprises chairman & Managing Director Sunil Godhwani shares his leadership style. The recent CAG reports on the civil aviation and hydrocarbons sectors reflect that dubious decisions plague India's governance. The auditor general has brought to notice that the country is shackled by an archaic superstructure that is not in sync with an economy on the threshold of crossing $2 trillion. An Aon Hewitt study reveals international employee mobility continues to increase even in a global economy gripped by slowdown. Hyundai will launch its new small car Eon today. Dubbed as Maruti Alto's competitor, the car has already created a lot of buzz in the market and is expected to hurt Maruti Suzuki more than its striking workers. Your cover story (The Takeover Man , October 2) put in perspective the growth of M&M in the last two decades under Anand Mahindra and the trials and tribulations he faced in implementing his ambitious goals. Unless the government supports it on curbing inflation, RBI will have to kill the high-growth momentum. In the war on inflation, there are limits to what RBI can achieve without government support. Do you expect a reworked Lokpal Bill to be passed in the winter session? If you are fired or sidelined, should you openly air your feelings?